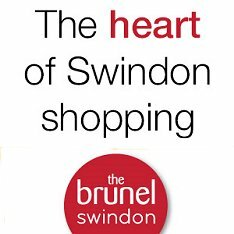 Better known as the Brunel Tower in honour of the founder of the Swindon works, Swindon's tallest building is infact named after the Swindon politician whose energy contributed to the influx of small industry to Swindon after WWII. At 83m high, the DMJ dominates the Swindon skyline (alongside Old Town's Christchurch) and was the last action of David Murray John, Clerk of Swindon Borough Council from 1938-1974. 'Mr Swindon', and someone who always envisaged and campaigned for a towering landmark to signify the centre point for the town. Signing the final contract for its construction in March 1974 turned out, in fact, to be Murray John's last official duty in office prior to his retirement after 36 years as the pioneeering figure in Swindon's post-war regeneration. Unfortunately, he never lived long enough to see its completion and opening in 1976. 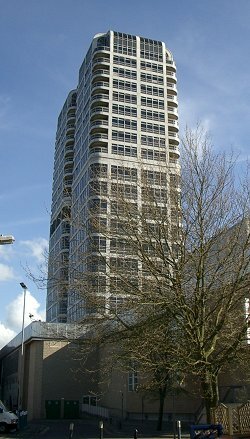 The 21 floor storey building is largely a residential property with 72 apartments available to rent from the Borough Council (although many tenants complain about the wind! ), with the first four floors allocated to office space. 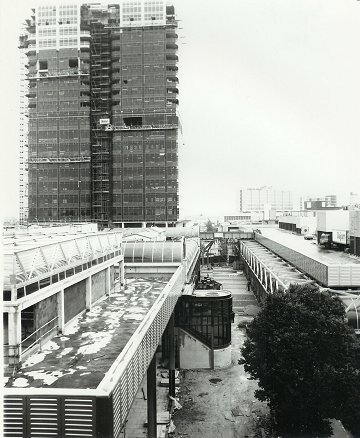 The building cost just over £2 million to complete and was opened by Mayor, John Stevens, in April 1976 just 3 months after he opened the Oasis - a definitive and prestigious year for the Borough Council and Swindon architecture overall.